Fished for longnose gar on the North end of lake this evening in my Tarpon 120 kayak. The gar were rolling and feeding moderately well. I was using 8wt. tackle, intermediate sinking line, and a gar fly I have been working on. 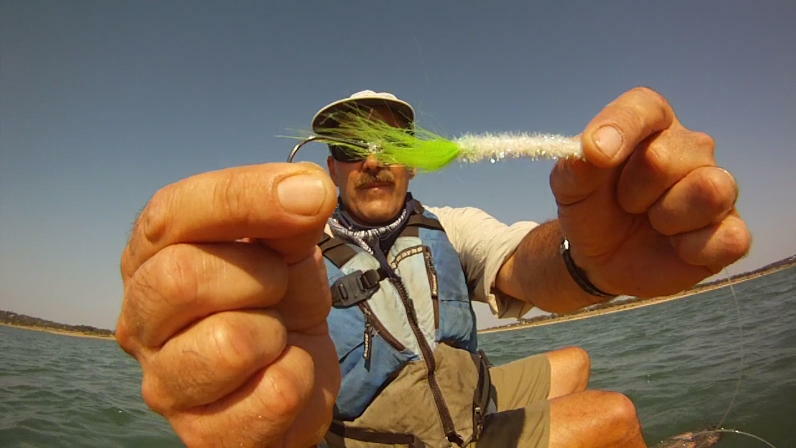 The fly is a tube fly made by wrapping cactus chenille around the tube with a little craft fur on the tail. A 3/0 Gmktsu. Octopus circle hook hangs at the rear, tied to 60 lb leader running through the tube. It works well. I’ll post a step-by-step later.